Serenity is a name of vessel First 44.7 ,which was produced in 2007. You can rent her from marina Bergen just a few kilometers from Western Norway. Serenity is furnished with 9 berths. Berths on the vessel are arranged in 9 (8+1) scheme. 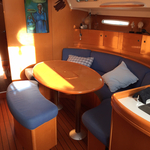 3 cabins are placed inside the sailboat Serenity. You can analyze different yachts under this link: Yacht charter Western Norway. 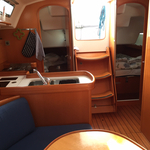 Guests can feel comfy on this sailboat , because there are 2 toilettes for their disposal. With 200.00 l liters in tank for fuel you can sail really far and still be independent because of 400.00 l liters in tank for water. Serenity is supplied with engine 60 PS. Sailboat's dimensions are: lenght - 13.68 m , beam - 3.98 meters and 2.15 meters of draft. 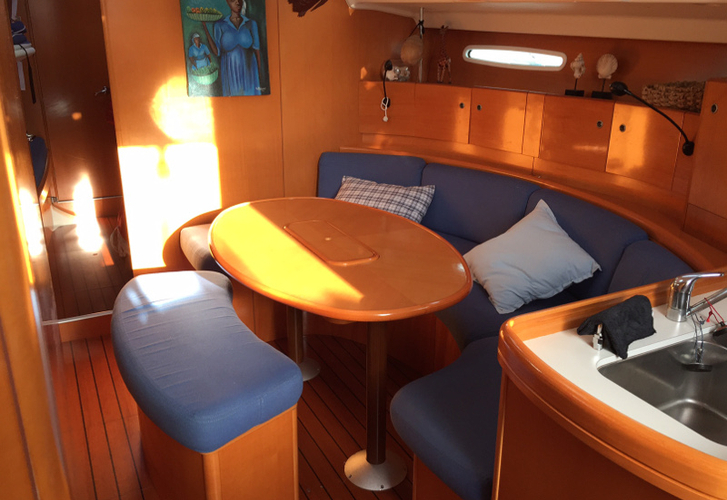 On the vessel you will find following equipment: Autopilot, Gps plotter, Radar, Mainsail with lazy jack, Heating. . Security deposit is at the level of 2400.00 EUR. In our search engine you can easily check avalailability of sailboat Serenity from Bergen by going here: Yacht charter Norway.